Drivers, as their name implies, are the driving force behind every component of your computer. They’re used to communicate with the motherboard. What are these graphics drivers and why should I use them? They update the Intel HD integrated GPUs in your processors. That means they’ll fix bugs (problems) and allow for better performance! Download and execute, or use our Driver Reviver software! The download links are at the bottom of the page. GPU stands for graphics processing unit, and they come in two forms: integrated and discrete. Integrated GPUs are built into your motherboard or processor, and discrete GPUs are seperate, plugged into the motherboard and generally a lot stronger and faster than their integrated counterparts. How do I know what kind I have? If you’re using an Intel Core processor, you have Intel HD Integrated Graphics — and this is the page for you. However, your computer — especially if it’s for gaming — may have a seperate discrete GPU. To check what you have, use the Device Manager in your Control Panel and look at your Display Adapters. If you see more than just Intel’s devices, you have a discrete GPU and you should update that as well, either on the manufacturer’s website or using Driver Reviver. An example of a motherboard with Intel integrated graphics. Which is better: integrated or discrete graphics? Discrete graphics usually have much better performance, but they’re for people who play games at max settings and make videos. Integrated graphics are just fine for playing games at low settings and watching high-quality videos. Here’s more on the subject of integrated vs. dedicated graphics. How do I know if I have 32-bit or 64-bit Windows? On versions before Windows 8, click Start, right-click Computer, and click Properties. On Windows 8, press Windows Key + X, click System, and on the resulting page, you will find what version of Windows you are running. How do I know which Gen processor I have? 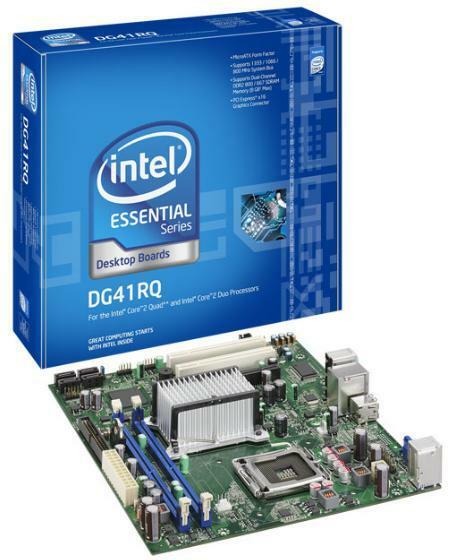 If you have an Intel Core 2 Duo/Quad/Extreme processor, you have the 1st Gen. If you have an i3 numbered 330 to 560, i5 numbered 430 to 760 or an i7 numbered 610 to 980, you have 2nd Gen. If you have an i3, i5 or i7 numbered higher than those, you have 3rd Gen.
To see your processor’s numerical value and name, open Device Manager in your Control Panel. Below are the download links for the driver updates.